Agave Underground Tequila (http://www.agaveunderground.com), headquartered in Orange County, California, announced today Agave Underground Pro Mod driver Tim Tindle is recovering in an Indianapolis hospital after a high-speed crash that occurred at the 59th annual Chevrolet Performance NHRA U.S. Nationals on Sunday, September 1st during the first round of eliminations. Tindle’s Camaro impacted the guard wall at the midway point of the quarter-mile track, was airborne, rolled numerous times and landed upright in the grass outside of the retaining wall. “We are extremely thankful that Tim is recovering and the doctors at Methodist Hospital have reported no major injuries,” stated Mike Ivey, President of Agave Underground Tequila. “Along with Danny Rowe Racing, safety is our number one priority as the marketing sponsor for the race team. All the safety and practice tests Danny Rowe Racing administers along with the money spent on required safety equipment, and the team of experts involved with building the car and chassis, allowed Tim to exit the car at his own will after the high-speed crash,” concluded Ivey. 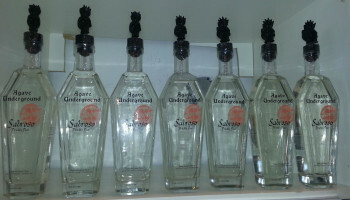 Agave Underground Tequila became the primary marketing sponsor for Danny Rowe Racing in March of this year. 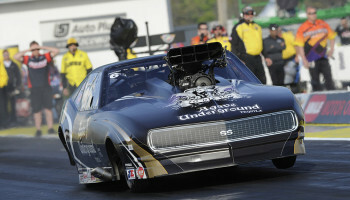 Tim Tindle joined Danny Rowe Racing as the driver for the team’s second Agave Underground Tequila Pro Mod Camaro in July. 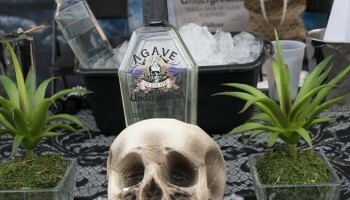 “Our entire team at Agave Underground Tequila wishes Tim a quick recovery. We look forward to seeing Tim and his family back on the race track soon,” stated Ivey.